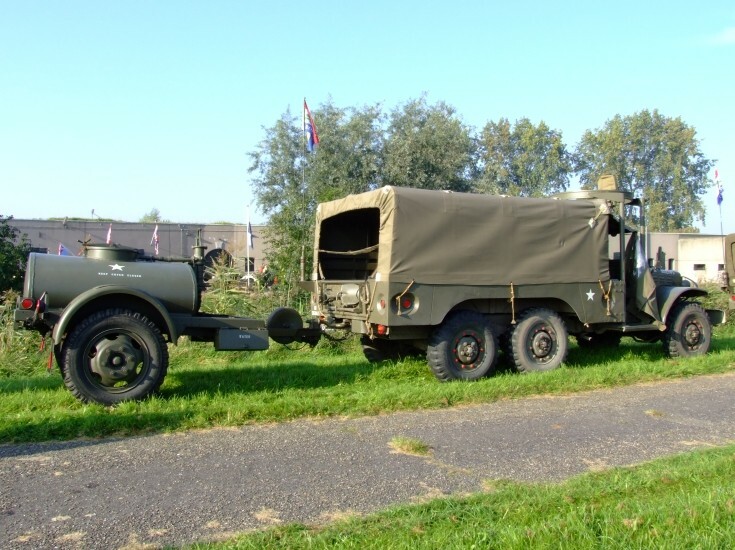 Photo of a classic US Army truck with trailer (water?). Sorry, don't know this type! Picture taken in Holland 2008. This is a Dodge T223 (or WC62) Weapons Carrier. And the trailer is indeed a Watertank. Added by Louis van Telgen on 15 June 2009. Added by Timespanr on 26 February 2012.